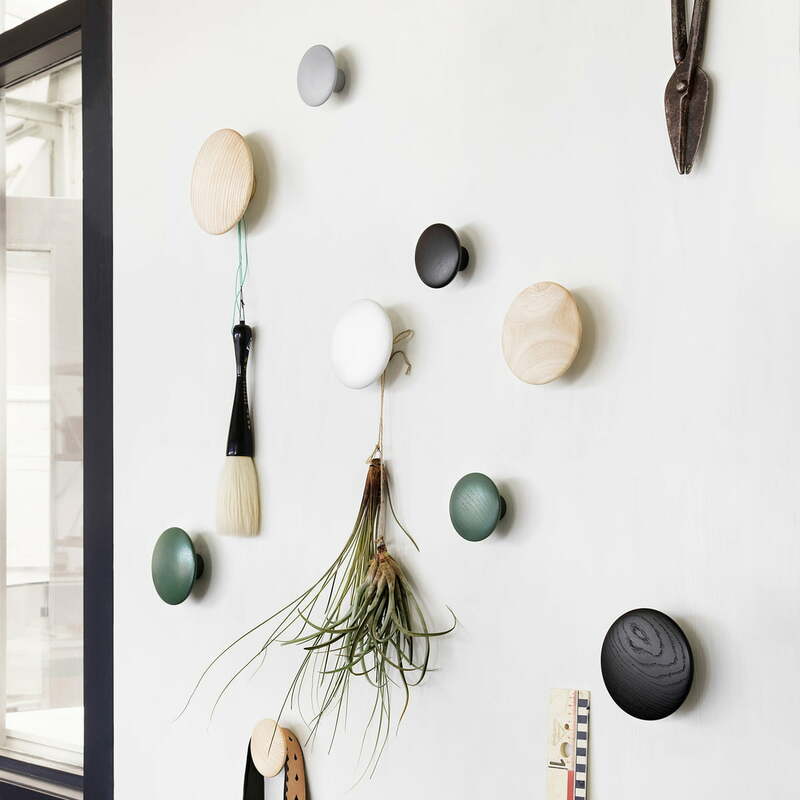 Muuto - Wall Hook L "The Dots"
More items and all varieties can be found on the page Muuto - "The Dots"
The Norwegian design of the coat hook by Muuto was developed by Tveit & Tornøe. The duo simply named their design "The dots", which is now becoming a classic piece of modern Scandinavian design. 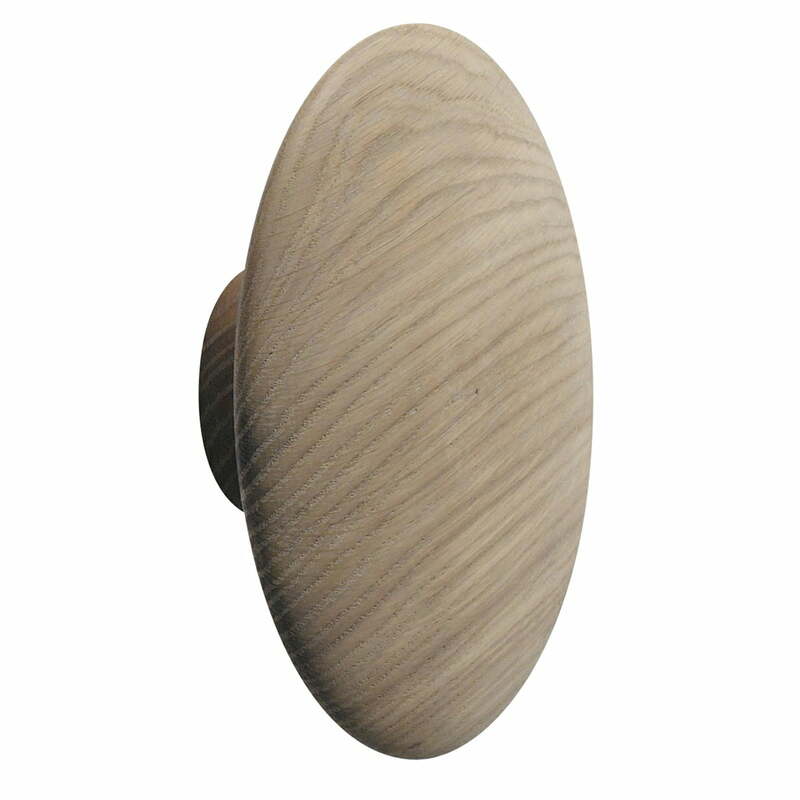 The high-quality coat hooks are available individually or in a set of 5, in oiled or painted ash oak wood. 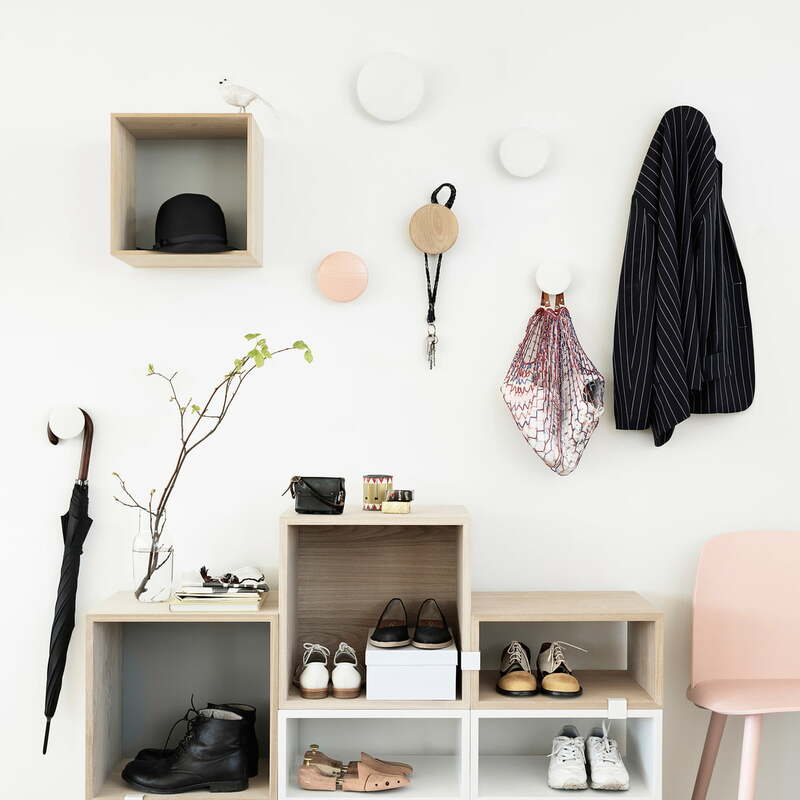 The soft wooden object is placed directly on the wall and prevents clothes from falling off with its broad rounded head. 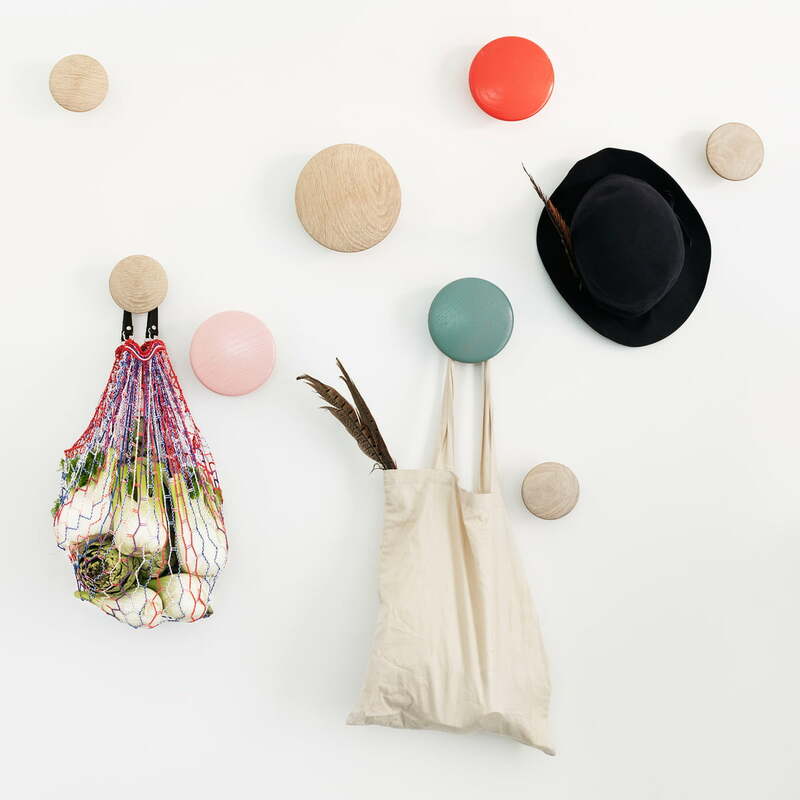 Therefore your clothes, bags and accessories will hang safely and stylishly, at all times. 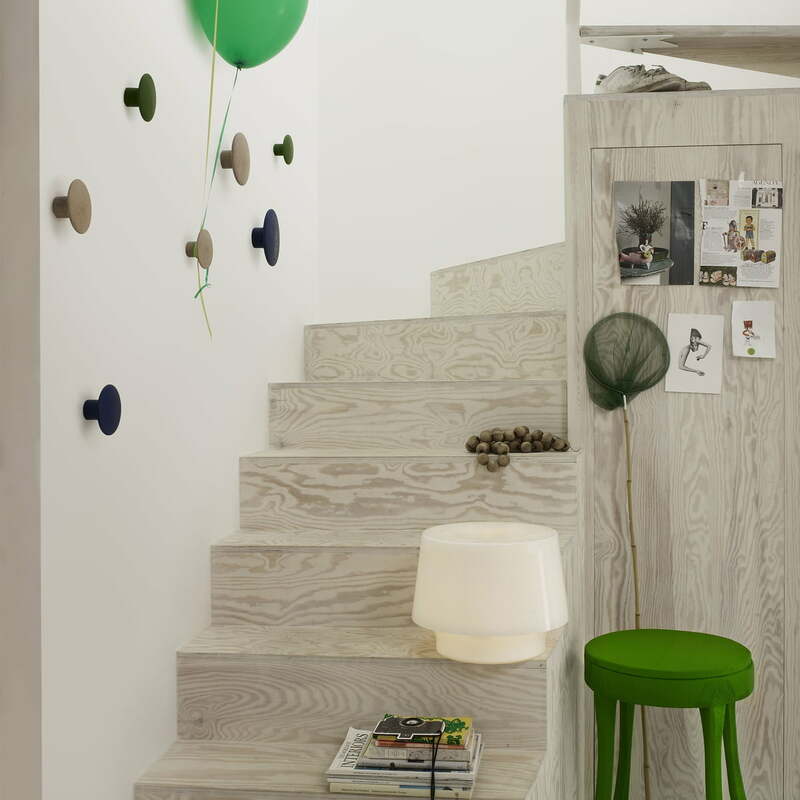 The Dots by Muuto can be used individually or arranged in a group thus creating a decorative pattern. In size L the wooden Dots are ideal to support heavy coats and jackets in your hallway or entrance area. In other living areas, the Dot in large made of high-quality wood can also have a decorative function. 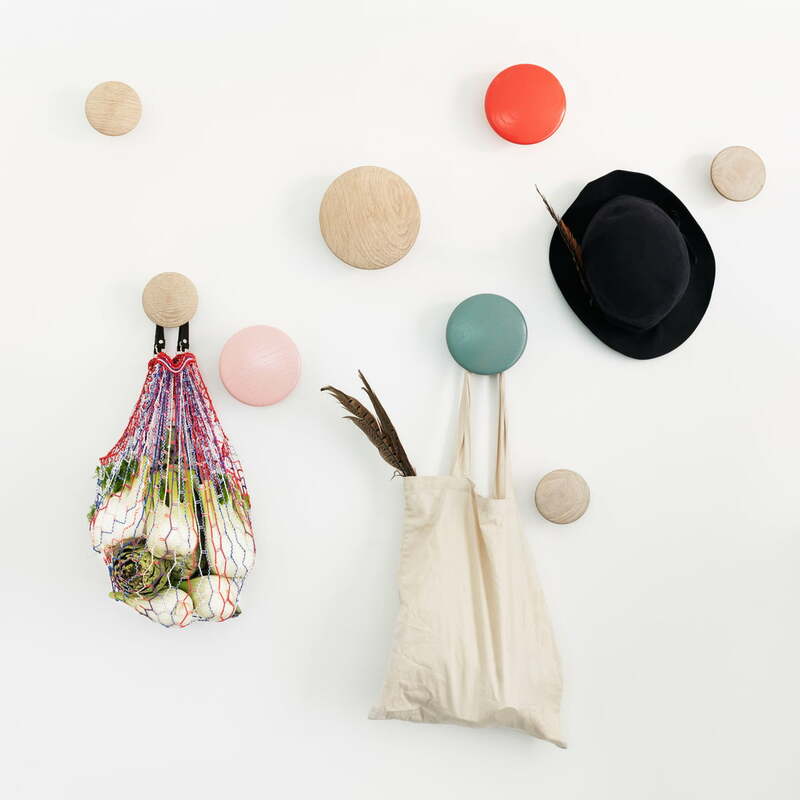 The designers recommend freeing the hooks from clothes every now and then, in order to fully appreciate the shape and material of the Dots.